Making a change to your home? 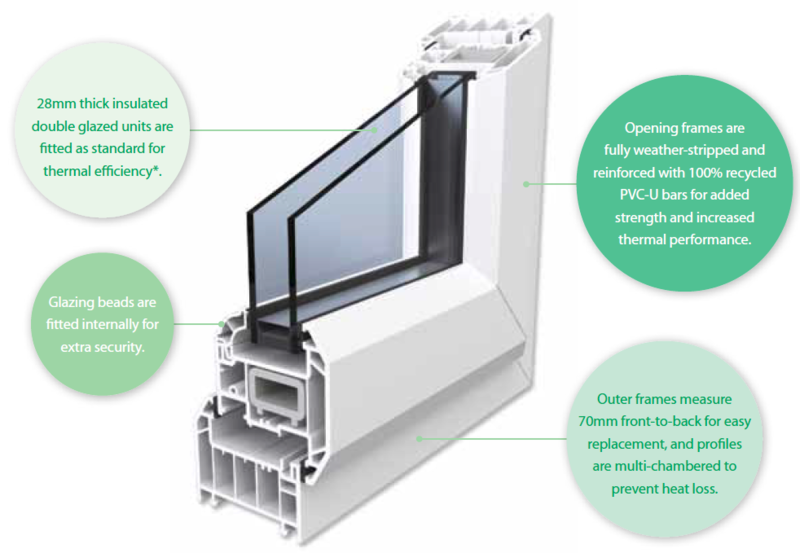 No doubt you are seeking the highest standard of quality for your new PVC-U windows and doors. Sandhurr offer many different types of UPVC double glazed windows in white, grey or black and offer all different types including sliding sash UPVC windows and have been for over 15 years! 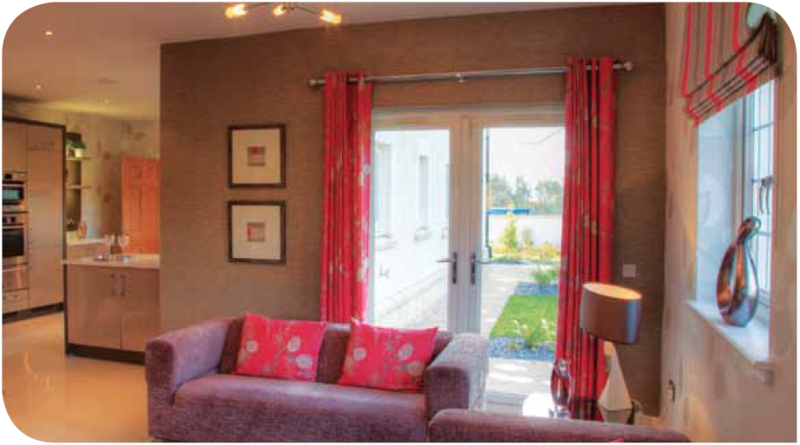 Come and visit our showroom to see the full range of UPVC windows we have on offer. Our windows have achieved accreditation from the British Board of Agrément, the organisation that decides which building products are fit for purpose. Imagine your home with windows that are as long-lasting as they are beautiful – and as elegant as they are energy efficient. By replacing your existing windows with our PVC-U windows, you’ll make your favourite place quieter, safer and more secure. But that’s just the beginning, when you’re at home you’ll see the difference with new windows that are the perfect colour match for your house, whether they are in White, woodgrain, Cream, Grey, Rustic Cherry or one of our other Artisan colour options. You’ll sense the difference too, because our windows come with a Green Guide A rating, so they’ll help to shrink your energy bills. This warm feeling will last as long as your new windows. Throughout their long lifespan, they’ll remain as virtually maintenance-free, efficient and attractive as they were on day one. So by replacing your windows you could add more value to your home. Wouldn’t you love some added space? 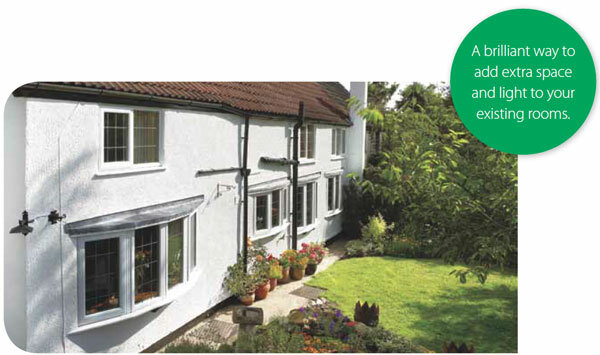 Now you can have it – simply by replacing your existing windows with our bay windows. Picture what that extra space would do for your house. A better view, whether you’re outside or inside. Outside, you’ll enjoy the new updated look. Inside, you’ll notice that the room feels more spacious. 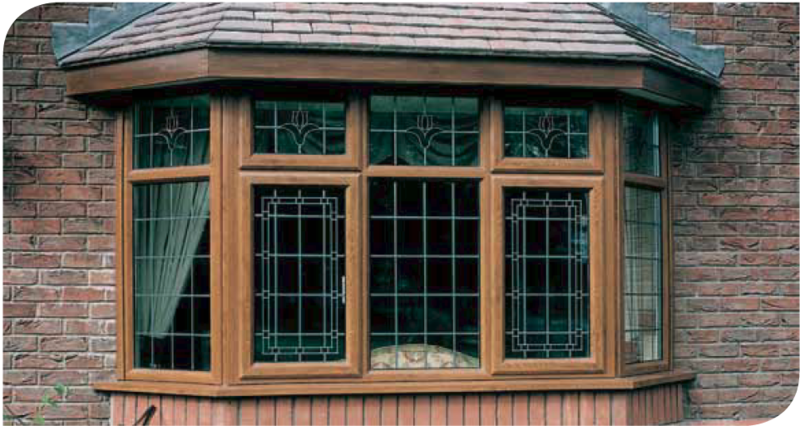 You can choose from White, woodgrain or Artisan coloured windows. Whichever option you select, being PVC-U, your windows won’t rot or lose their looks for the whole of their long life. And added thermal efficiency means lower energy bills for good. Bring more of the outside – in. Bring more of the outside in with our stylish replacement PVC-U bow windows. Being built out from your existing walls, our bow windows cleverly extend the space – adding a whole new dimension to your house. While they’re clever, they are also a fairly straightforward installation option to create replacement windows with a difference. Bring much more to your home, more light and space. More style, with our choice of White, woodgrain or 12 beautiful Artisan colours. More peace of mind, with our advanced locking system – and more peace and quiet, thanks to the sound-reducing advantages of double glazing. Replace for added peace of mind. Do your doors help to protect you and your family? Our doors do exactly that, whether you are in or out. Made of long lasting and durable PVC-U and with proven high performance for security and safety, they’ll stand up to the challenges of your busy everyday life and help keep your home secure. How do you create a lasting impression? With PVC-U doors that are as visually striking as they are strong. Upgrade your home with front and back doors that offer a choice of door panels and designs. This positive impression is lasting in other ways, too – many, many years with virtually no maintenance because, being PVC-U, your replacement doors won’t rot or fall apart, however hard you make them work.